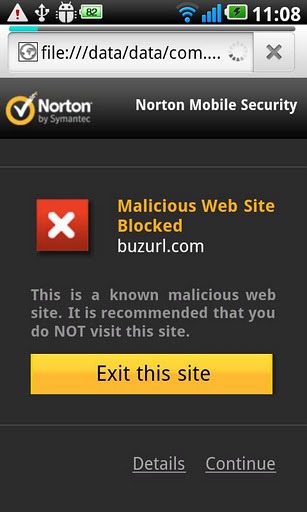 Norton Mobile Security is another one of those must have applications for your Android Smartphone due to the constant changing threat landscape. As the Android operating system is one of the world's most popular platforms for Smartphones, criminals are now targeting these devices to not only steal your personal information such as your identity and credit card details but also infect your devices with viruses and Malware. The application can easily be installed via the Android marketplace and once installed on your Smartphone, you simply just open the application to launch Norton Mobile Security. Best of all the interface is quite simplistic and by keeping things to a minimum, it doesn't requite a degree in Computer Science to navigate the application or enable certain aspect of its features. The home screen of Norton Mobile Security contains four areas that include Anti-Theft, Anti-Malware, Call & SMS Blocking and Web Protection. Although the application protects users from surfing the web on their Android device and ensures that Malware, viruses and phishing are not invited onto the Smartphone, my favourite feature is the Anti-Theft. This feature basically locates your Android device via Google Maps and even allows you to remotely lock your phone via an SMS text. This means that your personal information is protected and also prevents them increasing your phone bill. In a worst case situation, you can remotely wipe the phone as well. If they try to remove your SIM card and try another SIM card, the phone automatically locks. The Call & SMS Blocker does what it states and blocks unwanted calls and text messages which prevents individuals or organisations from spamming your phone. This feature is a little rough around the edges but surprisingly it works quite well. The Anti-Malware scanner scans your Android device for any Malware (e.g. infected application), including any additional storage devices that may be connected to your Smartphone. Web Protection ensures that your surfing experience is as safe as possible and if a threat is detected, the application will immediately prompt that the user. Best of all, on our Sony Xperia, we found no slowdowns or any issues while we were surfing the net, downloading messages and more importantly, the scan of our Android device was super quick. 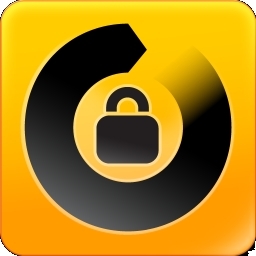 If you're after a sturdy security suite for your Android device, you should investigate Norton Mobile Security that provides thorough protection for your Smart device. If in doubt, users can try Norton Mobile Security Lite, a free application that offers basic protection which can then be upgraded to the full version!